Takaaki Nakagami will remain with the LCR Honda MotoGP team in 2019, it has been announced ahead of this weekend's Japanese Grand Prix. Nakagami graduated from Moto2 to join an expanded two-bike LCR line-up in the premier class this year, racing a year-old Honda RC213V in the colours of long-time sponsor Idemitsu. With four races to go, he lies 20th in the points standings with a best finish of 12th, and sits third in the battle for Rookie of the Year honours behind Tech 3 Yamaha's Hafizh Syahrin and Marc VDS Honda rider Franco Morbidelli. 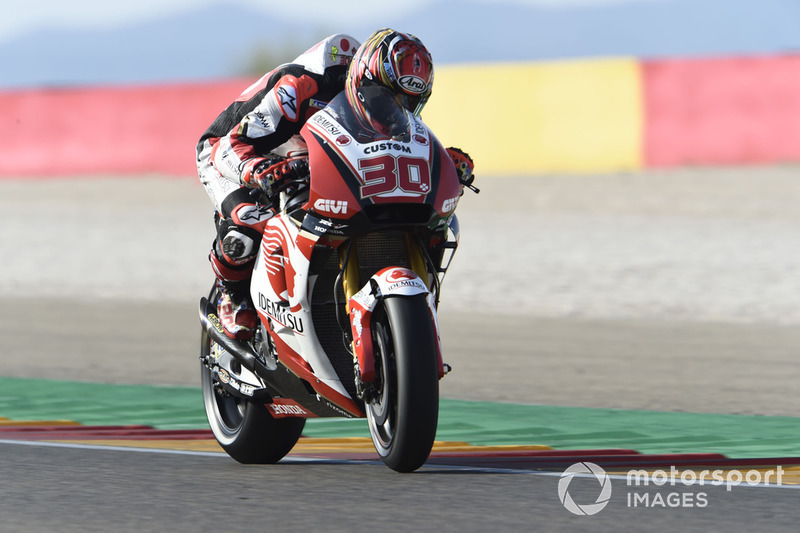 It has long been expected Nakagami would continue at LCR for a second season, and the news was finally confirmed a few days ahead of his home grand prix at Motegi. 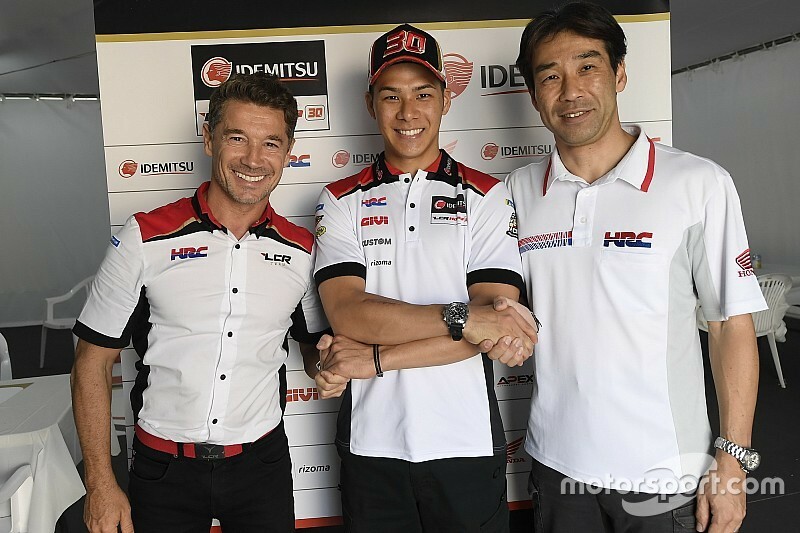 “First of all I am really happy to continue with LCR Honda Idemitsu Team in 2019," commented Nakagami. "A big thank you goes to our sponsor Idemitsu for its great support and of course to Honda HRC for believing in my skills and providing a competitive technical package. 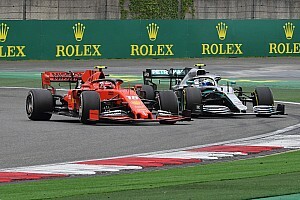 "This team is very professional and I could not ask for more in my debut season in the premier class, so I am very happy to continue with Lucio [Cecchinello, team boss] and his crew. "I can’t wait to start the new season but at the same time I am very focused on my home race in Motegi and the last races of this 2018 championship." Cecchinello added: "We are very happy that Idemitsu and Honda HRC have renewed their support to Nakagami for next season because it was a real pleasure working with him in his first experience in the major category. "Debuting in the MotoGP class is not an easy transition for a rider because the level is extremely high but 'Taka' has demonstrated very remarkable skills and a will to learn, finishing quite often as the best rookie of the category." The announcement leaves just one place on the 2019 MotoGP grid to be officially filled at Avintia Ducati, which is poised to retain the currently-injured Tito Rabat for a second season.